Alessandra holds degrees in Economics from Universita’ degli Studi La Sapienza of Rome, and in Development Studies (SOAS), where she completed a PhD on the production of cheap labour in the Indian export-oriented garment industry. She has done external consultancy work for DFID, UNIDO and ActionAid-UK, on issues such as poverty, global labour standards and gender. Her research interests focus on globalisation and processes of labour informalisation; materialist approaches to global commodity chain analysis and global industrial systems, labour standards and CSR; gender and feminist theory; and the political economy of India. 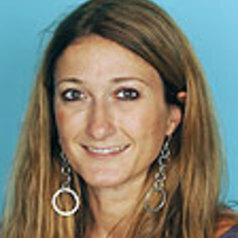 Alessandra has done research and fieldwork in India. She has investigated in depth the Indian garment industry and explored its different regional labour regimes and informalisation modalities, illustrating the different ways in which sweatshops are formed and reproduced. She is a member of the Neoliberalism, Globalisation, and States and the Labour, Movements and Development departmental research clusters, of the South Asia Centre and of the Gender Centre. She is co-investigator for the project ‘Labour standards and the working Poor in China and India’, and sole investigator for the British Academy project ‘The global Village? Homeworking in the global economy’.